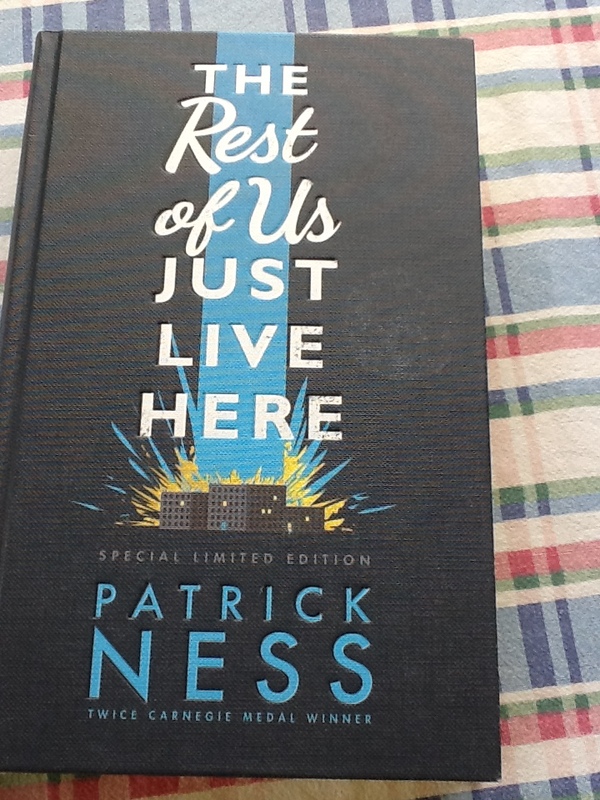 A new book by Patrick Ness is always something to be shouted about and this one is no exception. 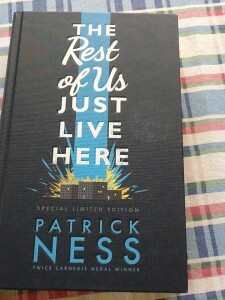 “The rest of us just live here” is about those who are not the superheroes, they are just kids trying to get along in life and cope with the problems of their teen years, although this does include OCD and dysfunctional families. It is a book that you would recommend to everyone and it is bound to be nominated for a variety of awards in the coming year. There are two parallel narratives and although the second is told as the short headings to each chapter, gradually they begin to seep into each other. You really must read this book. 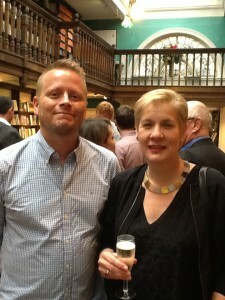 Thank you Walker books and Daunts in Marylebone for a truly lovely evening. I was lucky enough to get a photo of two Carnegie winners as the wonderful Tanya Landman was there. It was also great to see Celia Rees again and to meet Catherine Johnson and Non Pratt. As you can see it was a star studded evening but the undoubted megastar was Patrick himself. 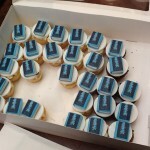 Oh, and of course there was cake! 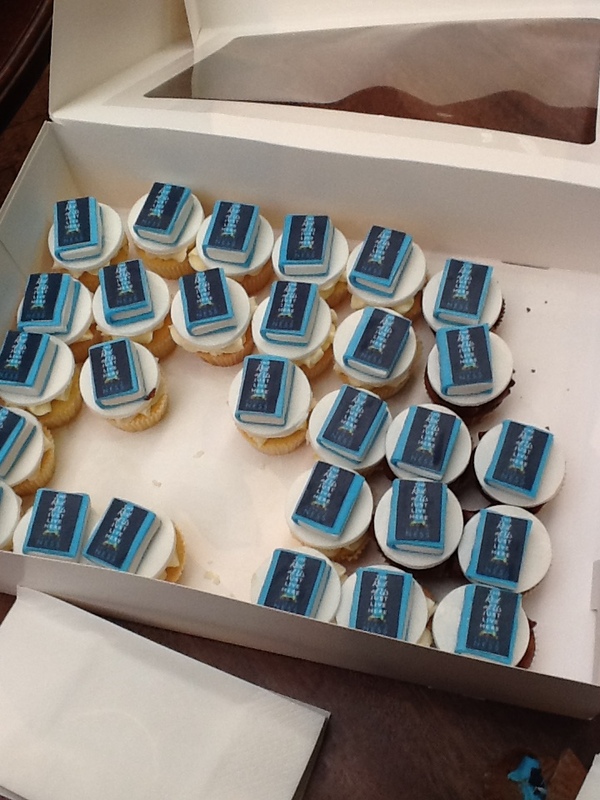 Lovely little cup cakes with a miniature book on the top. 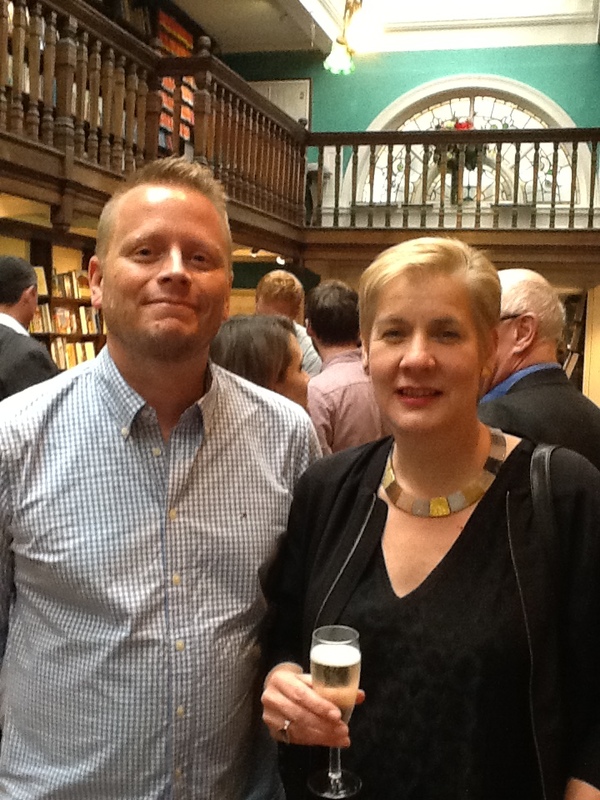 This entry was posted in Book news, Events and tagged Catherine Johnson, Celia Rees, Daunts Marylebone, Non Pratt, Patrick Ness, Tanya Landman, Walker Books. Bookmark the permalink.